originating in egypt, neroli is water-distilled from the orange blossom plant to produce an oil known for use in skincare treatment as far back as the 16th century. 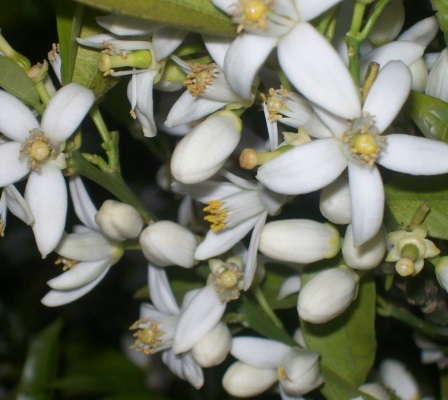 orange blossom is refreshing and spicy, this distinctive oil is distilled from the bitter orange trees surrounding the mediterranean. named for the princess of nerola, italy, who brought the oil into fashion, neroli’s influence can be felt by all the senses. benefit: sweet, bitter and citrus-scented, neroli oil contains naturally occurring chemicals linalool and naringin which aid in cell regeneration. for this reason, the oil is best for blemished, mature/aging and sensitive skin as it soothes, heals and contains antimocrobial properties. in aromatherapy and massage, neroli is uplifting and calming. a vital note in many luxury perfumes, its therapeutic benefits are of equal value. with an impressive combination of vitamins a, b and c, it brightens the skin and softens wrinkles and scars while riding it of toxins to produce an overall soothing effect.